The style of yoga that I teach is system of classical Hatha Yoga called Adi -Yoga. At the end of an Adi-Yoga class you will feel a sense of nourishing aliveness throughout your whole body, a stability of mind and emotion and a pervading sense of connectivity and spaciousness throughout your whole being. This is the true aim of classical yoga. If you would like to know more and experience this for yourself. Please join me for Morning practice. Om gam ganapataye namah is the bija or seed mantra for the elephant headed Lord Ganesha. Ganesha is the remover of obstacles on the path of Yoga Practice. Salutations! May we all be free! 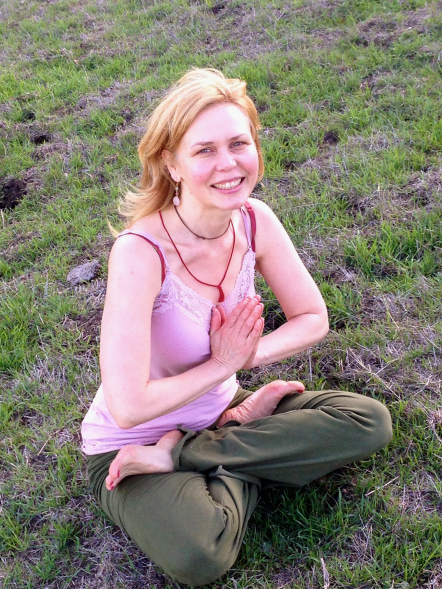 It is my great joy to practice and share the traditional teachings of Hatha Yoga. Yoga has given me practices to cultivate physical health, emotional balance and mental focus. I began practicing as a teenager and during my mid-thirties I was drawn to share my practice through teaching. As the daughter of two teachers and having a career as an Art Professor teaching comes quite naturally. I feel a connection between the practices of art and yoga as both invite one to continually experience life with an ever expansive sense of curiosity. My classes are appropriate for all skill levels and are informed by my study of Yoga Asana (posture and movement), Classical Tantra (meditation and awareness), Ayurveda (anatomy and health cultivation) and Jyotisa (astrology). $15 Materials Fee, pay day of. These are hard times for most of us and we often get caught up in worry, pressures of work and relationships, and the busyness of life (especially here in the Bay Area). It’s so important to have times of play and relaxation for renewal and health. This workshop requires no experience. All materials will be provided but you are welcome to bring any images or photos, etc. that you wish to use. People are encouraged to work silently and have the option to choose to share their work and/or process, or not, as they feel comfortable. I have been doing collage for over 20 years and have found it to be meditative, creative and a great source of both healing and pleasure, from which everyone can benefit. Esther Lerman lives in Berkeley and has a psychotherapy practice in Oakland. She is self-taught in collage and assemblage. Her work with sandtray therapy (use of miniatures in a sandbox to create a “world” from the unconscious) and dreams, along with many years of doing collage and interest in spirituality, has inspired her in creating miniature “Dream Boxes” and mini-altars. Self care is the practice of being mindful about your body and how you feel. It’s about checking in with yourself and giving yourself care to help you feel better. By incorporating essential oils into your life, you can enhance your self care practice. Essential oils are highly aromatic substances found in specialized cells or glands of certain plants. While they’re still inside the plant, they are called “essences,” and help to protect the plant from predators and attract pollinators. After they are removed through the distillation process, they become essential oils. They are highly concentrated when distilled for purity, potency, and efficacy. Every essential oil contains its own unique medicinal and therapeutic qualities and may be used either in isolation or in combination to aid in treating a variety of symptoms and ailments, as well as promoting feelings of overall relaxation and wellness. They may be administered aromatically, internally or topically. Self Care Aware highlights all the benefits of using essential oils as part of your self care practice. You’ll also have the opportunity to sample some essential oils, and learn how to make your own personalized roller bottle blend. Melissa Rosado-Coffey, Licensed Massage Therapist with 20 years experience, recently moved to California from Brooklyn, NY. She specializes in an integrated approach to massage therapy using a variety of techniques including Swedish, deep tissue, sports, shiatsu, acupressure, hydrotherapy, reflexology, aromatherapy, myofascial release, and clinical massage. She loves incorporating the use of certified pure therapeutic grade essential oils for massage and self care, and teaches you how you can incorporate that into your own life. Be transported to ancient Japan and relish in the art of Matcha Tea Ceremony. 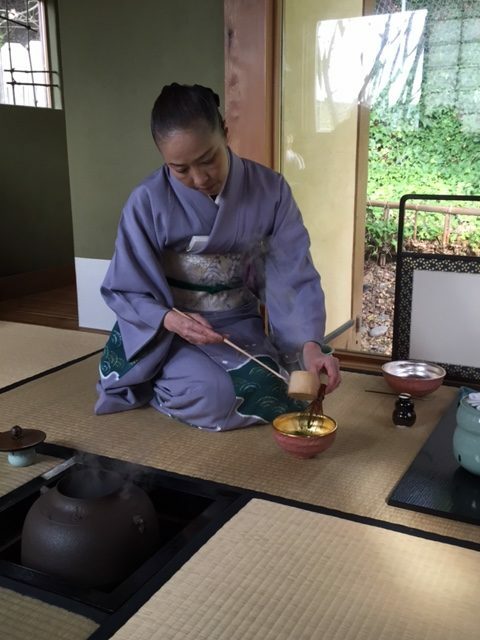 Join legendary tea master Kanako Nishimura for a ceremony that dates back to 9th century Japan. Learn the art of matcha as a practice of mindfulness that brings us into the present moment and as a shared experience of harmony. Enjoy two exquisite varieties of Japanese matcha, hand selected for their taste and superior quality, learn the art of making matcha, delight in a selection of Japanese treats, and be a part of community in an intimate ritual. We will commemorate the passing of the man who invented tea ceremony, Sen no Rikyu. Technically, such a tea commemoration is called an okucha. After the ceremony, learn about the health benefits of tea, how to prepare Japanese Matcha tea, and more details about this tradition.